With 17 chairlifts and ski lifts and cable cars spread over 53 km of slopes, Sörenberg is the largest ski area in the canton of Lucerne. Skiing and snowboarding up to 2350m is enjoyed on the Brienzer Rot-horn, the highest mountain in the canton - and this family-friendly ski region also offers a snow sports school, two toboggan runs, marked snowshoe trails and guided snowshoe tours. 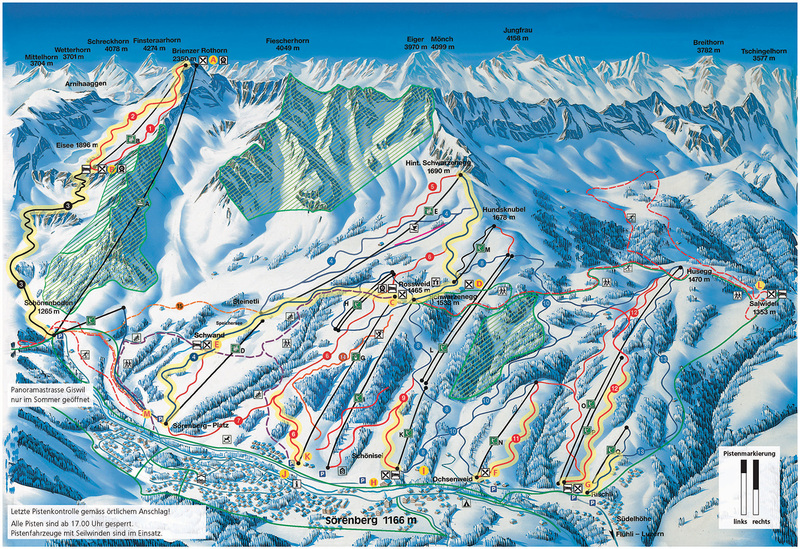 Not forgetting the Schrattenfluh ski touring region that those in the know rave about!